Hotel – TTDC property, Hotel TamilNadu. The rooms are large enough, but very very very old. There was just one plug point in the room and with everyone having a minimum of two gadgets that need charging, it was grossly inadequate. The air-conditioning is new, but patchy and not very good. The water that drains from the AC is let out in the bathroom so the bathroom is wet perpetually !! We put a bucket underneath and got nice cold water in the morning for our bath. The restaurant has only vegetarian food so we were thrilled. The menu is limited and food is only available during the Breakfast -Lunch-Dinner timings. The snacks selection is limited again. The best thing about this hotel though is the staff and the manager – very customer focussed, very keen to get feedback and make improvements and the cleaning crews are efficient. Sethu Karai Hanuman temple. Its a beautiful temple where Hanuman is facing Sri Lanka. This is the Adi Jaganatha temple. The carving on the temple tower is stunning. This is an ancient Shiva temple called Utharakosamangai. Very beautiful. this tower is just inside the entrance tower. This is the entrance tower from the inside. An ancient gooseberry tree. Supposedly from Sri Rama ‘s time. 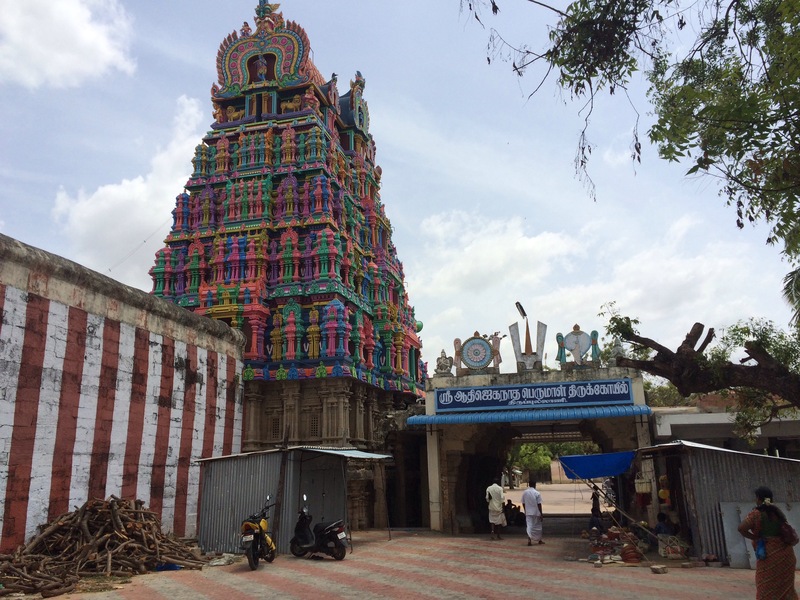 At this temple, there is an emerald statue of Nataraja and almost year long, it is covered in Sandal paste since the statue is supposed to be hot. So the sandal paste cools Shiva down. It’s a one of a kind 6feet tall statue. The unique Navapashanam temple. 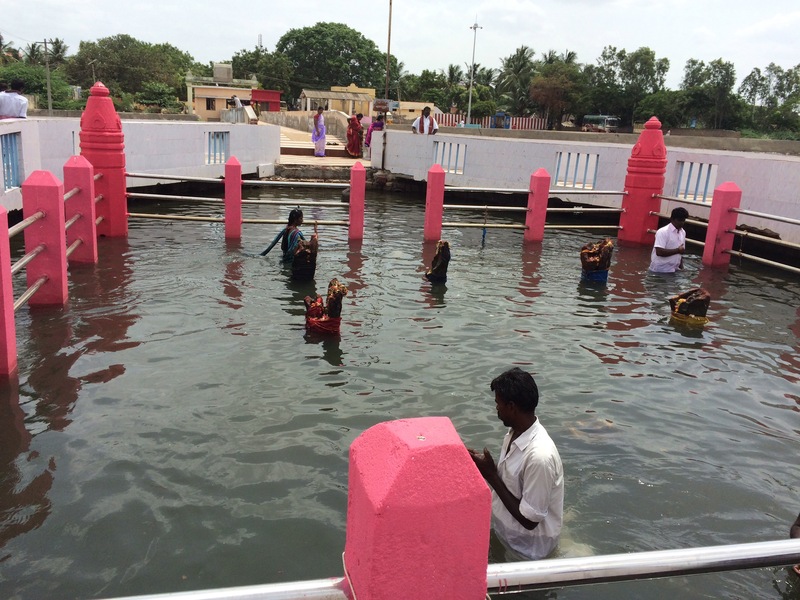 The navagrahas are floating in the sea and devotees have to go around them in water. 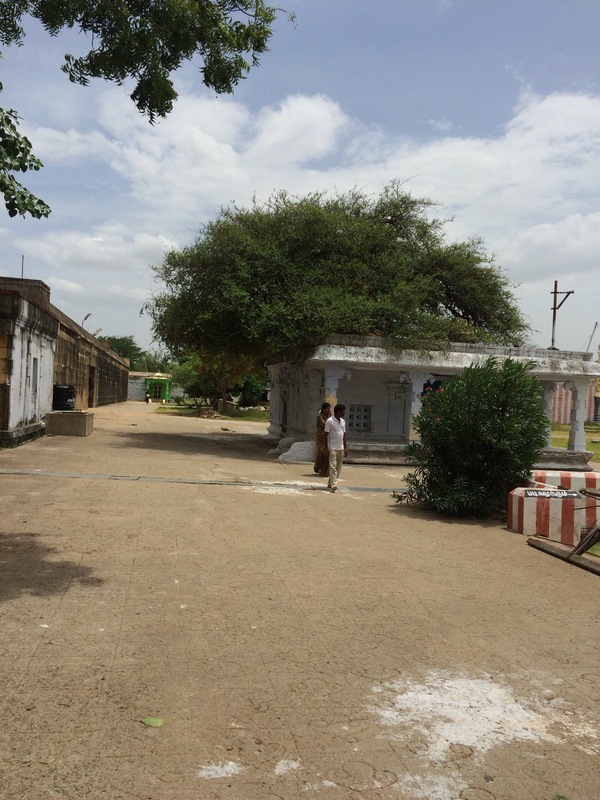 This temple was established by Sri Rama himself, so says the legend. Devotees praying at the Navapashanam Navagraha temple. 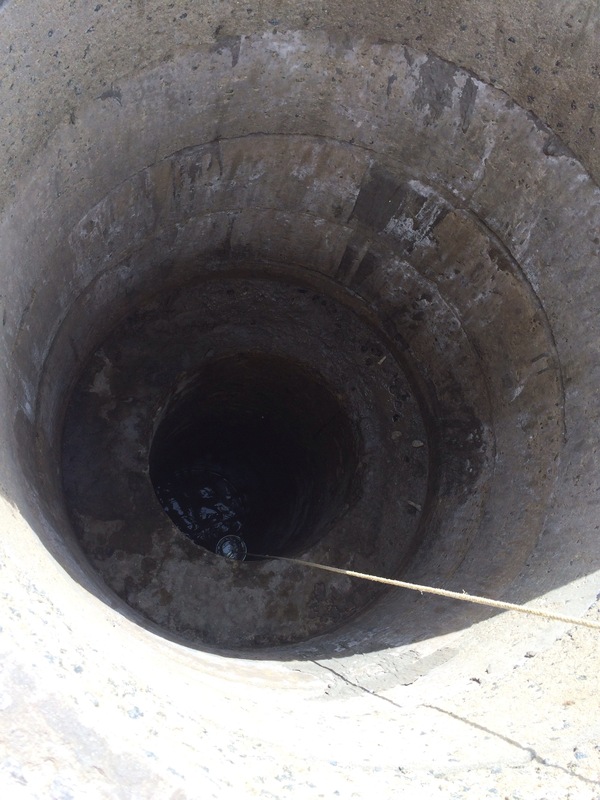 The well in the middle of the sea with sweet water !! miracle ? 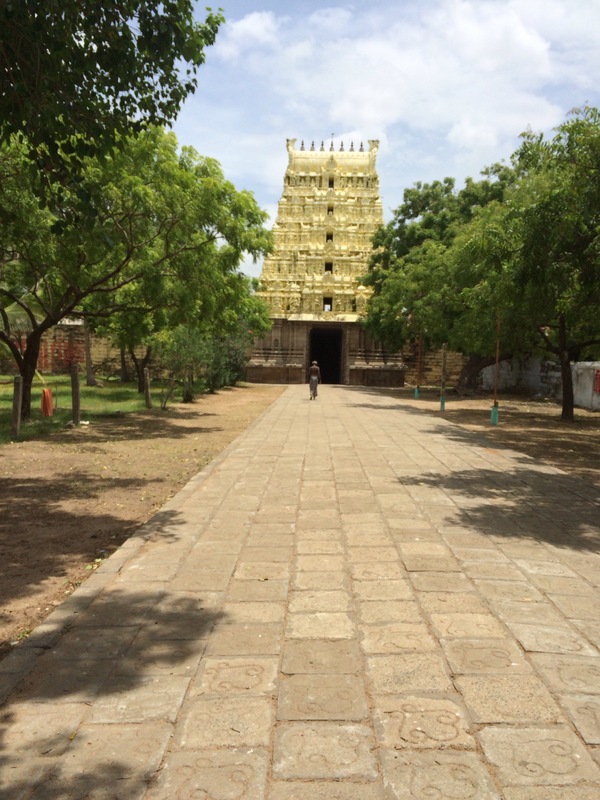 The view of the Villondi Theertham… its just fascinating. 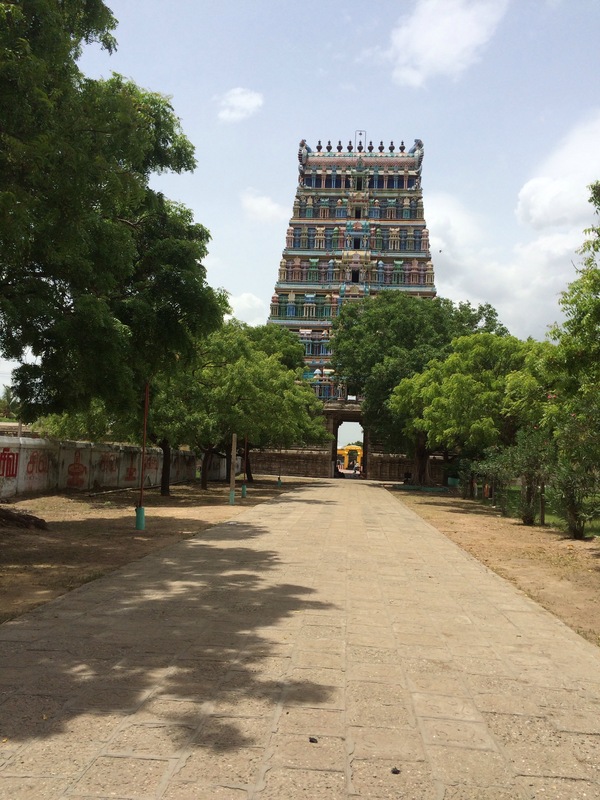 Rameswaram is steeped in history and legends. The place plays an important role in The Ramayana and that makes it very important. It’s also a pilgrimage. For Hindus doing the rites for their ancestors and parents, a visit to Rameswaram is a must after doing the rites at Gaya. From a tourist’s perspective, there are beautiful temples and gorgeous beaches.. And of course a ghost town too in Dhanushkodi. So a must see place in south India.